Haha... 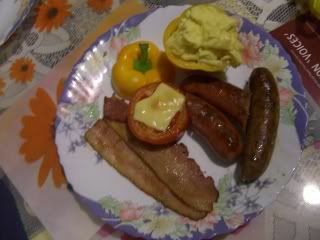 I know it's no big deal (it's just a simple brekkie) but I only cook maybe 4 times a year (?). 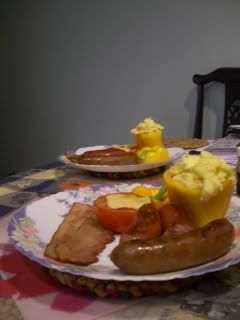 So, I thought I'd share the Mother's Day breakfast I prepared for my mum (and dad) with you all. Let's just say that my dad's "kiam siap" (stingy), "let's not waste anything" behaviour backfired in a big way - he confidently told me that one of the pots was safe for usage on an induction cooker... and guess what? Anyway, I survived. Hopefully I don't burn the house down on Fathers' Day. Eeep, hope the burn wasn't too bad? Poor gal!